Do you want to create a donation form with multiple donation amounts? Having quick and easy options in your form makes it more likely for your donors to give. In this article, we’ll show you how to create a donation form with multiple amounts. Requirements: If you’d like to allow payments in your forms, you’ll need a Pro license or higher to access the Stripe or PayPal addons. Before we get started, be sure to install and activate the WPForms plugin on your WordPress site. To begin, you’ll need to create a new form or edit an existing form. For this example, we’ll create a new form using the Donation Form template. However, you can start with any form you’d like. Next, we’ll add a payment field that allows users to choose from multiple donation amount options. Depending on your preference, you may use the Multiple Items or the Dropdown Items field. 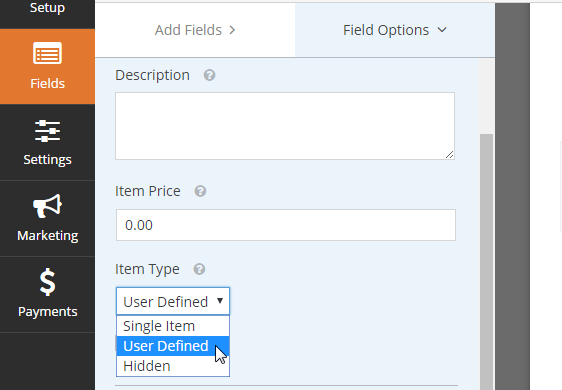 For our example, we’ll be using the Multiple Items field. 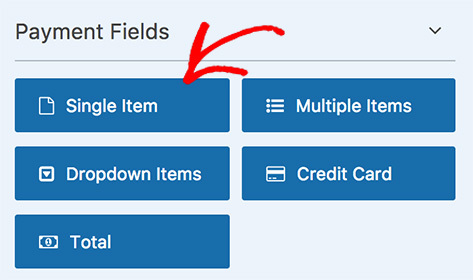 To add the field to the form, click on Multiple Items, or drag it to your form. 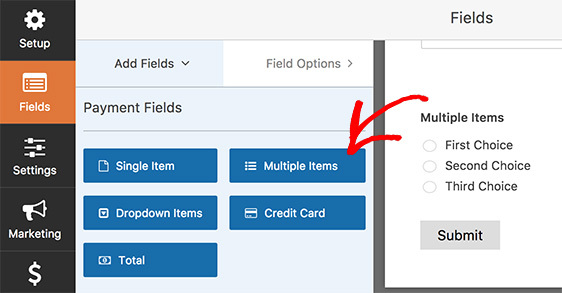 To begin customizing the payment items field, click on the Multiple Items field. In the Field Options panel, you have the option to edit the name of the label and items. In our example, we’ll name the Multiple Items field Choose a Donation Amount. You can also add or remove options by clicking on the plus (+) and minus (–) buttons respectively. To make sure that users don’t miss this field when submitting the form, set the Choose a Donation Amount field as Required. In some cases, users might want to donate an amount that’s not on the list of amounts provided in the form. 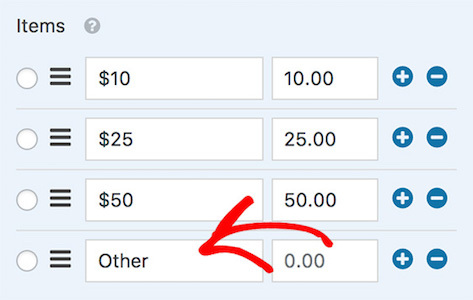 To allow donors to donate other amounts, you’ll need to add an additional item to the Choose a Donation Amount field. In our example, we’ll name this new item as Other. Next, we’ll need to display a field to enter the donation amount when the Other option is selected. If you’ve chosen the Donation Form template to create the form, you’ll see a Single Item field in your form titled Donation Amount. This field will allow your visitors to specify the donation amount to give. For our example, we’ll rename the the Donation Amount field to Specify Donation Amount. To allow users to indicate the on amount they’d like to donate, set the Item Type as User Defined. 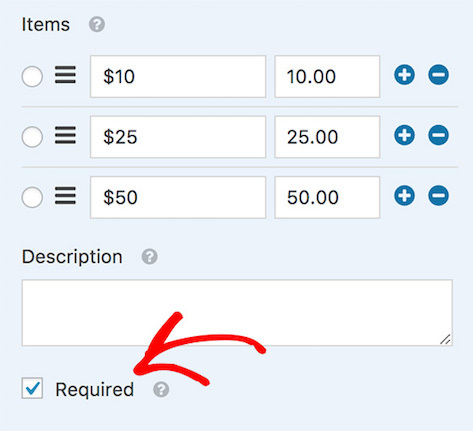 Next, we want to make sure that the Specify Donation Amount field is shown only to the users who clicked the Other option in the Donation Amount field. To do this, you’ll need to select Enable conditional logic option under the Conditionals column. Next, configure the conditional logic to Show this field if Choose a Donation Amount is Other. Once you’ve finishing configuring the form, click on Save to keep the changes. 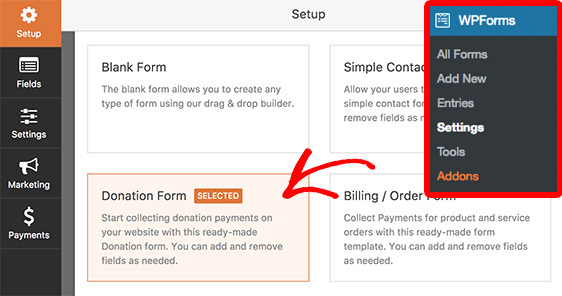 If you’re not using the Donation Form template, you’ll need to add a Single Item field to your form to allow users to specify their donation amount. Next, you can rename the field to Specify Donation Amount and configure its settings according to the example of the Donation Template above. That’s it! You can now create a donation form with multiple amounts for users to choose from. Next, do you want to prevent users from submitting a form with $0.00 in user-defined payment fields? If so, be sure to check out our tutorial on how to require a payment total here.